Your contribution supports the work of the Henri-Alain Baniakina Foundation a 501 (c) (3) organization. Please print your confirmation page and save it for your records. I would like to take this opportunity to introduce you to the Henri-Alain Baniakina Foundation and speak about some of the critical and exciting work we have undertaken in the Republic of the Congo. The Republic of the Congo is a Central African nation full of tremendous potential, exemplified by the natural beauty and biodiversity of the Congo basin rainforest that sprawls over much of the country and the rich cultural traditions and creativity of its peoples. Tragically, much of the promise of the Congo has been squandered by political instability and conflict that engulfed the country in two devastating periods of civil war from 1997 to 2003. As a result of these civil wars, the civil infrastructure of the society was severely debilitated and the capital city, Brazzaville, left in ruins. Now, in 2009, the Republic of the Congo is still struggling to recover with a high number of internal refugees and a majority of the roughly four million Congolese living in poverty without access to clean water, sanitary conditions, well-functioning medical facilities, quality education, and living wages. The Henri-Alain Baniakina Foundation is dedicated to improving the daily lives of the Congolese people. Its energies and resources are directed primarily at three main areas in desperate need of support: education, healthcare, and microfinancing to increase economic opportunity and fairness. Public education in the Congo is in dire straits. School buildings are dilapidated and beyond capacity. Teachers often go unpaid for months if not longer. The primary school pupil-teacher ratio of 82.8 students per teacher places Congo as the 2nd worst in the world after only Afghanistan, based on 2005 statistics. Similarly, Congo ranks towards the bottom for children not enrolled in primary school, nearly 1 in 10. 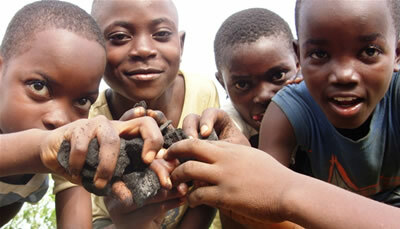 The Baniakina Foundation considers improving educational opportunities in the Congo as its top priority. The Foundation has already begun building schools in Brazzaville and in the town of Boko, in the Pool region, and has plans for expanding its schools to reach each region of the country. Each school will have a library for the broader community to access books and gain computer skills. To combat malnutrition and encourage daily attendance, breakfast and lunch will be provided to students. The Foundation is also offering scholarships to talented Congolese students for study abroad at universities in the United States and Europe. Special outreach is planned towards the orphans of AIDS and violence to provide realistic prospects for a far brighter future. Just as the Foundation plans to build schools across the country, it also is developing clinics to attend to the needs of the local population in all regions. The current state of healthcare in the Congo is characterized by high infant mortality rates (nearly 1 in 10 babies die within their first year of life), low immunization rates, and a life expectancy of only 53 years. The AIDS epidemic rages on with over 5% of the population between the ages of 15 and 49 infected with HIV and many unable to access anti-retroviral medicines and thus dying needlessly. The human suffering from malaria and easily avoidable complications such as diarrhea, due to a lack of clean water, is staggering. However, we must not respond to such preventable suffering with a feeling of impotency or mute indifference. The Foundation is not only building clinics to provide diagnosis and treatment for ill patients but also working on water purification and improved sanitary conditions as well as developing outreach programs to educate local populations on STD and malaria prevention and distribute mosquito nets. A key element in the struggle to alleviate poverty and hunger in the Congo is the broadening of economic opportunity to all sectors of the population through microfinancing and cooperative business models. The Baniakina Foundation has begun two such programs in Boko, in coffee cultivation and basket-making. Plans are in place to expand microfinancing throughout the country and to develop other local cooperative businesses, such as an industrial bakery and a poultry plant. Currently, economic disparity is severe in the Congo with a bloated and unsustainable government sector and too many Congolese left with little or no access to gainful employment. Microfinancing and the promotion of local self-sustaining businesses are critical elements in diversifying the economy to make it more adaptable and creative in fulfilling the needs and visions of the Congolese people. The Henri-Alain Baniakina Foundation's efforts in the fields of education, healthcare, and microfinancing are designed to create an integrated network of support for realizing the promise of the Congo and its peoples. In this country of 4 million people, improvements in the daily life of those touched by the work of the Foundation can have a ripple effect throughout society and help revitalize the Congo as it reconstructs itself after the civil wars of the last 12 years. However, we can not do this urgent and necessary work without your support. With anti-retroviral drugs for AIDS costing around $300 per year or a malaria net costing just over $6, a donation of any amount can have immediate and life-saving impact. In these difficult economic times around the world, it is easy to put off such support for a more comfortable time in the future. However, the need is even greater in this global recession and now is precisely the time for the world to unite in eliminating economic and educational disparities and the unconscionable conditions of poverty in places like the Congo. Please join us in committing yourselves to solving this fundamental problem of our time.